According to News One broadcasts, black women are aggravated that the SheaMoisture people are seeking to expand across color lines. 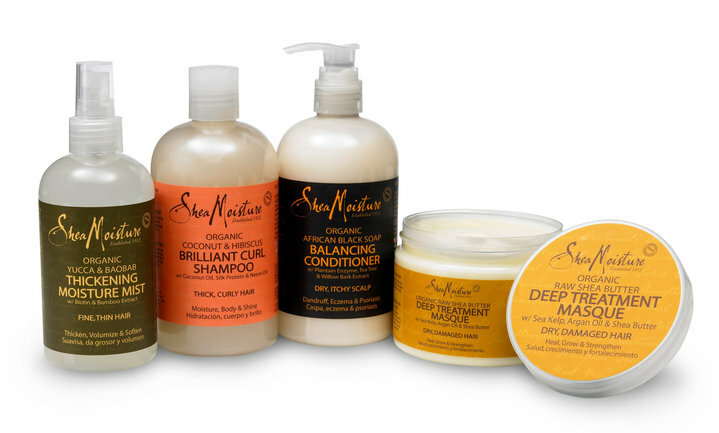 Millions of blacks can see themselves as the base of SheaMoisture marketplace. But, there’s nothing wrong with a black company doing “crossover” marketing. Blacks need to be “educated consumers” guided by racial identity and loyalty. The black hair care industry is a $761 million market; with ethnic beauty being is a major factor. The multicultural beauty products’ market is outpacing the growth of the overall cosmetics and toiletries market. Should there be any question among blacks as to “What beauty products to buy?” Some blacks on social media have declared a boycott of the SheaMoisture brand; company CEO Richelieu Dennis urges those consumers to reconsider. “We already have few Black businesses in beauty. I think that it is a mistake to abandon a brand that has served and continues to serve because of a Facebook post. Look at our track record, look at what we’ve done, we are a business trying to grow and we need support.” Dennis is founded Sundial Brands which includes SheaMoisture. Dennis based his original shea butter products on his grandmother’s recipes. Sundial pulled in an estimated $200 million in revenue in 2015. The company’s growth caught the attention of Bain Capital, which acquired a minority stake in Sundial Brands. Bain Capital is a Boston-based company with assets of $75 billion. Dennis’s 25-year-old natural beauty company deserves allegiance. Sundial spans three brands and hundreds of products. Sundial’s Liberian-born founder espouses inclusivity. Dennis once wrote that his company was more of “a mission with a business, rather than a business with a mission.” Sundial Brands LLC engages in the manufacture of skin and hair care products. It offers soaps, deodorants, body wash liquids, body lotions, hair colors, hair kits, kid’s hair products, masques, shampoos, bubble bath products, hand and body scrubs, soaks, after shave sprays, baby lotions and oil rubs, body creams, hand creams, medicated soaps, shaving cream body wax, shaving creams, nursing balms, ointments, therapy creams, facial kits and cosmetics. Sundial Brands LLC was founded in 1992 and is based in Amityville, New York. Blacks should do all they can to support blacks in business. Dennis’s family began making natural beauty products in their Queens apartment. The brand has come a long way from 25 years ago, when Dennis was hawking shea-butter shampoos by the pound on Harlem’s streets. At the time, Dennis was displaced in the United States as civil war broke out in his native Liberia. The family home in Liberia was destroyed. Dennis, his mother, and a close friend from college turned to the family business which his grandmother started by crafting soaps and lotions from local plants. Reciprocity should be the rule of Blacks’ consumerism. Improving consumers’ loyalty to brands allows firms to secure a comfortable long-term position in the market-place. The issue of brand loyalty is larger than just repetitive discrete transactions between consumers and brands. Black women, in particular, spend an estimated $7.5 billion annually on beauty products, shelling out 80 percent more on cosmetics and twice as much on skin care as their non-Black counterparts. Blacks should stay with Sundial Brands and help increase its image and distribution among other African Americans. Since its founding, Sundial Brands have supported charitable and nonprofit community organizations. Dennis’ company has Community Commerce–labeled products. Ten percent of gross sales of these items are channeled back into Community Commerce initiatives. The company’s Community Commerce team works with suppliers to identify local needs and say: “We see what investments Sundial can make that will improve their lives. Blacks can help Sundial by forming local support and distribution networks. With the investment money from Bain, Sundial’s distribution footprint is expected to grow from 25,000 stores, to 45,000 by next year. Sundial is working with retail partners, such as Target, to move its products off specialty shelves.. If all goes according to plan, SheaMoisture will be going head-to-head with the likes of Procter & Gamble and L’Oreal on store shelves. Hey Buddy!, I found this information for you: "Business Exchange: Buy Into Black Beauty". Here is the website link: https://blackmeninamerica.com/business-exchange-buy-into-black-beauty/. Thank you.